Is there a battle over creamy or crunchy at your house? I’ve always sided with crunchy, but everyone else in my family seems to prefer creamy. 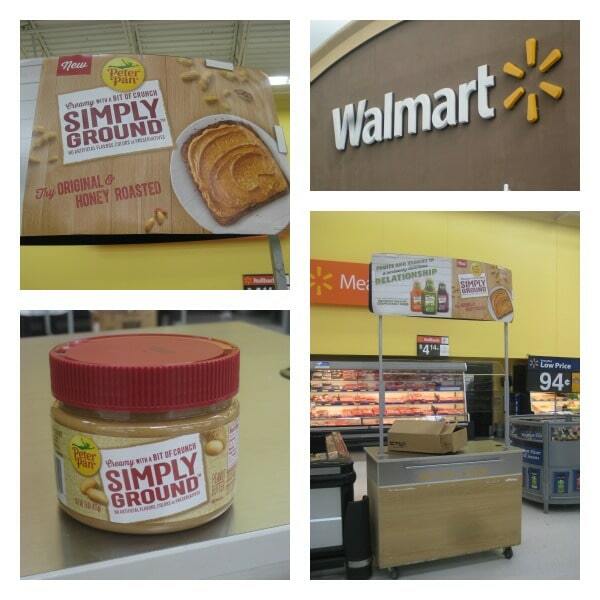 Now, there’s a new peanut butter in town. Creamy and spreadable with just a little bit of nutty crunch, Peter Pan Simply Ground Original and Honey Roast are the perfect solution for your peanut butter quandary. The wide mouth jars make it easy to dip, snack, and scoop. Now that everyone is back in school, it seems as though peanut butter becomes an indispensable part of the daily routine. Peanut butter and jelly sandwiches abound, for kids and grownups alike. Sometimes, we make so many sandwiches with peanut butter that we forgot the other glorious uses to which it can be put. 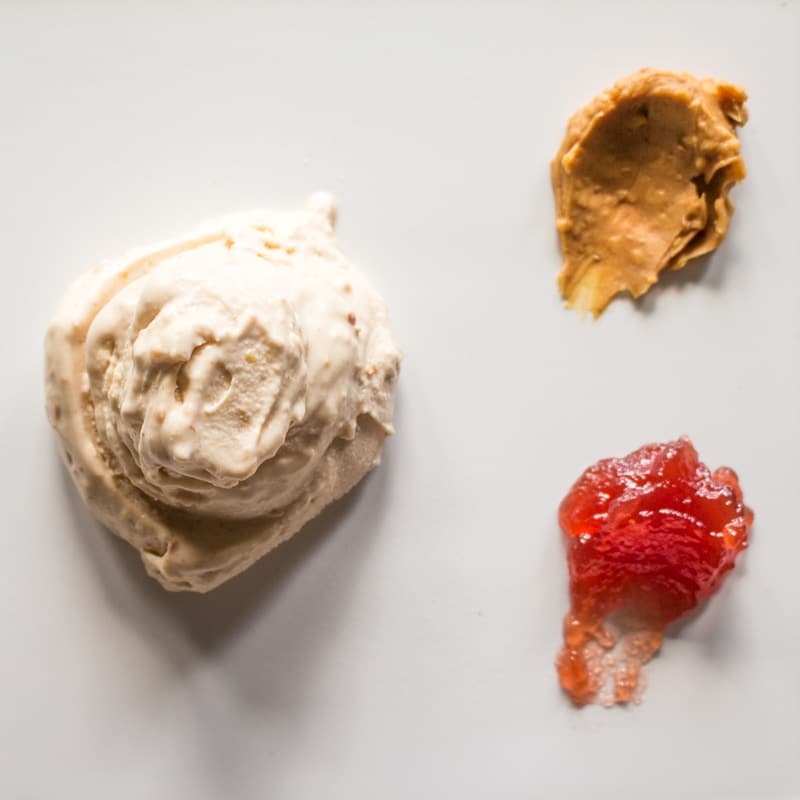 I love the flavors of a good PB & J, so I’ve created a peanut butter and jelly ice cream that incorporates Peter Pan Simply Ground Original. I picked up my Peter Pan Simply Ground Original at Walmart. Make sure you get your coupon here before you go! While I was there, a demonstration was taking place, so I got to sample the peanut butter as well. And as if that weren’t delicious enough, you can actually turn this into a peanut butter and jelly ice cream sandwich by scooping it on to a couple of graham crackers. You’re welcome! 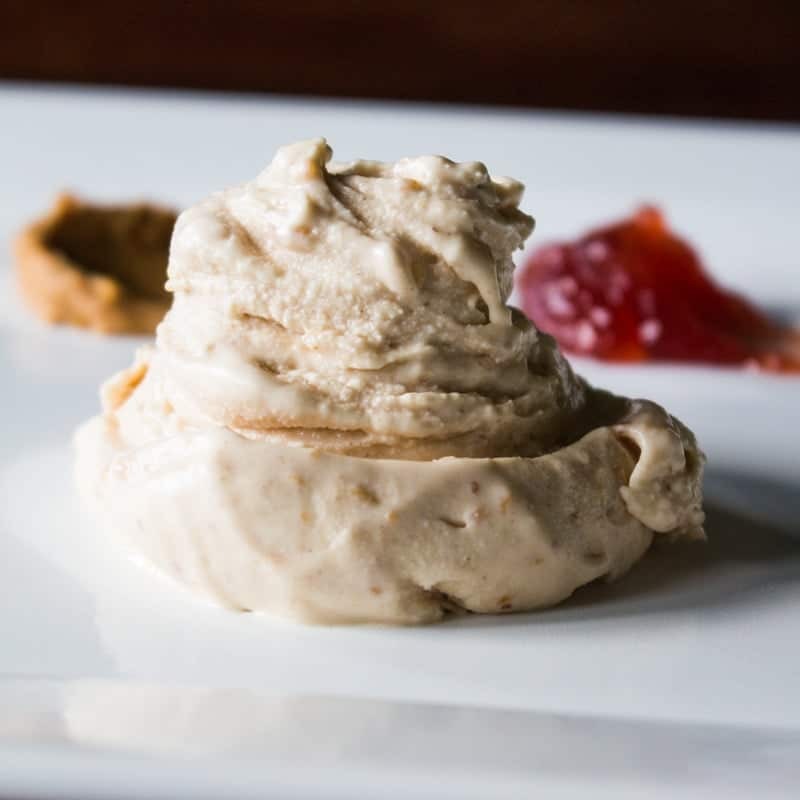 Made with peanut butter that has just a tiny bit of crunch, this luxuriously textured peanut butter and jelly ice cream is just perfect for dessert. In a mixing bowl, mix the peanut butter, jam, and sugar on low speed until well combined. Add the milk and mix for 1 minute on low speed until the sugar is dissolved. Sprinkle in a pinch of sea salt and mix again for 1 minute. Stir in the heavy cream. You do not have to let the ice cream base sit overnight (unless you would like to). Process in an ice cream maker. You may serve the ice cream immediately (it will be soft), or you may place it in the freezer for a few hours to firm up. 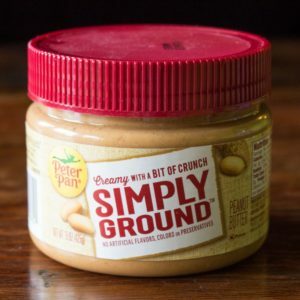 Check out Peter Pan Simply Ground for more recipe and snacking ideas! My kids loved it! 🙂 They don’t normally go for nuts in anything, but they loved this.